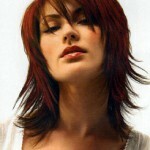 Gorgeous new hairstyle ideas for 2011 / 2012 created by Killer Hair! Layered brown hair with pink underneath. 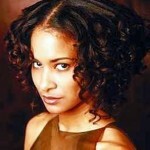 Mid-length hairstyles offer a wide range of versatility and styles. You can add layers, bangs, streaks, keep it all one length; the possibilities are endless. 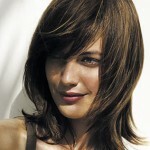 Medium length hair is usually cut just above or below the shoulders. 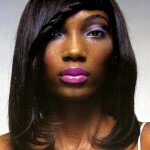 There are endless amounts of styles to choose from to suit all face shapes, hair textures, ethnicity’s and ages. 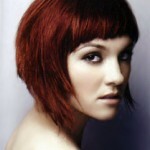 A very common technique is to cut several layers into the hair to add body and texture and different types of hair bangs to help frame the face. When getting a medium length hairstyle that has been cut into a certain style, frequent visits to the hair stylist are a must to maintain that look. 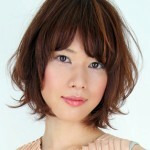 The great thing about medium length hair is that you can try a variety of different styles in a shorter period of time. 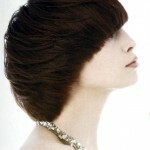 Are you looking for a great new hairstyle without the use of scissors or dyes or hair stylists? 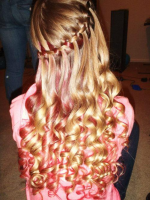 Braiding your hair is a great way to achieve a new look and best of all there a many different braids to choose from and you can do them in your own home. Fishtail braids are great for adding a touch of class and elegance to your everyday look. 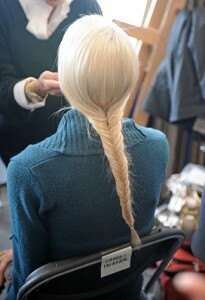 Fishtail braids are fabulous hairstyles for weddings, proms or any formal occasion. Make sure you hold the braid tightly applying a firm pressure with your thumb in the middle of the braid to avoid hair slipping out.